Rahma school strives to create an educational environment that focuses on helping students learn the Arabic language while preserving the Arab and Islamic identity and pride. 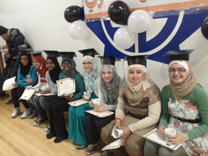 Rahma School also aims to foster a positive integration of our youth into the Canadian society. ايجاد وسط تعليمي لمساعدة التلميذ على تعلم اللغة العربية ومهاراتها مع الاحتفاظ بالهوية العربية و الاسلامية والافتخار بها مما يمكن النشئ من الاندماج الايجابي في المجتع الكندي . International Language Program of the Ottawa-Carleton District School Board, and the Ottawa French Catholic School Board. 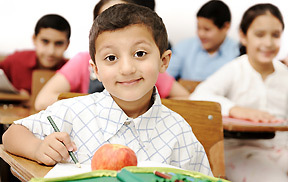 Rahma School provides a rich program that builds on high standards for teaching Arabic as a second language. It also provides a venue for our students and their families to participate and celebrate various cultural events, holidays, and festivities. Our program is administered by qualified pedagogues and teachers who have the skills and passion to teach the language using enjoyable and effective technique. Rahma staff is also committed to ongoing professional development that focuses on improving pedagogical skills, teaching methods, and effective classroom management.